All-school futsal last week was a blast! 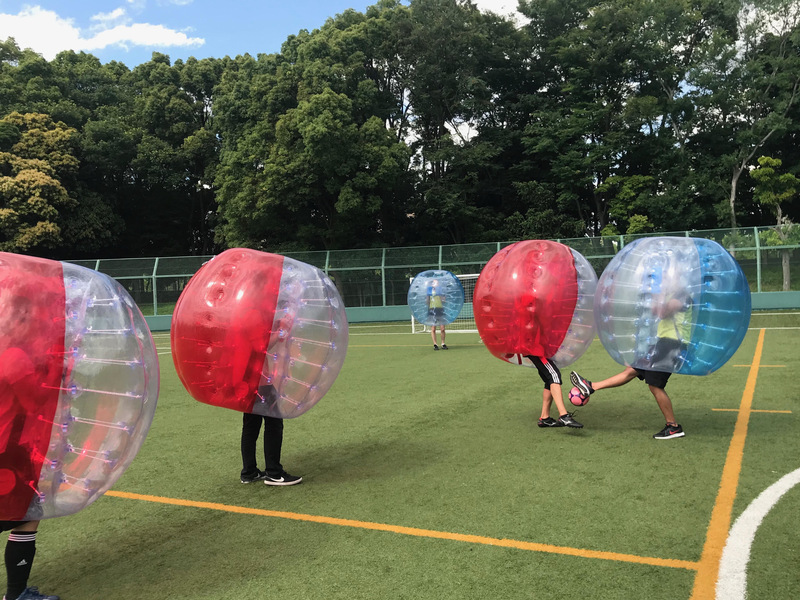 We attempted to play futsal while wearing giant bubble suits but the temptation to run full speed and send each other flying into the nether regions of space was far too tempting. If you have yet to catch a game this season, come out to LFIT (Itabashi Station or Shin Itabashi Station) to check out the girls’ end-of-season futsal tournament. Kickoff is at 9am. See you there!